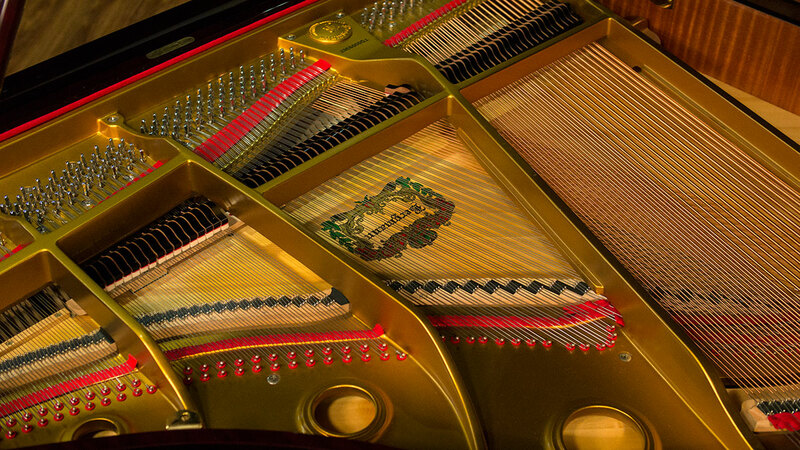 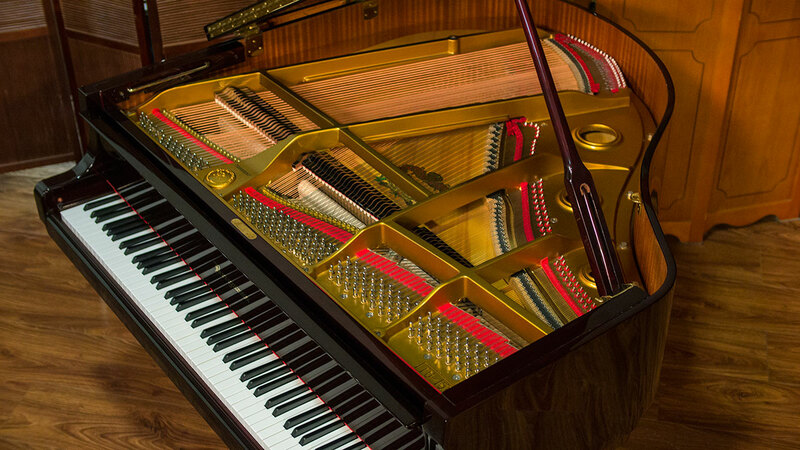 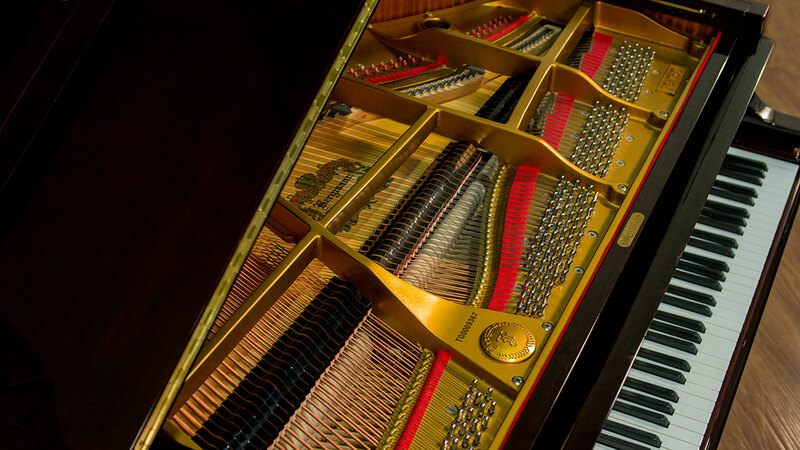 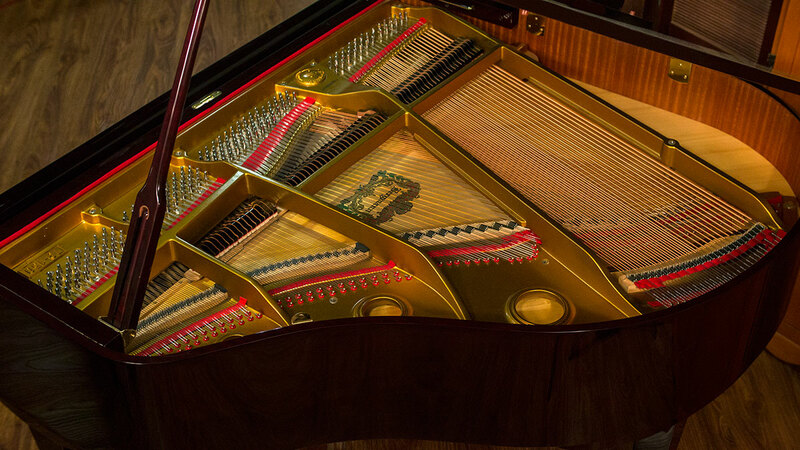 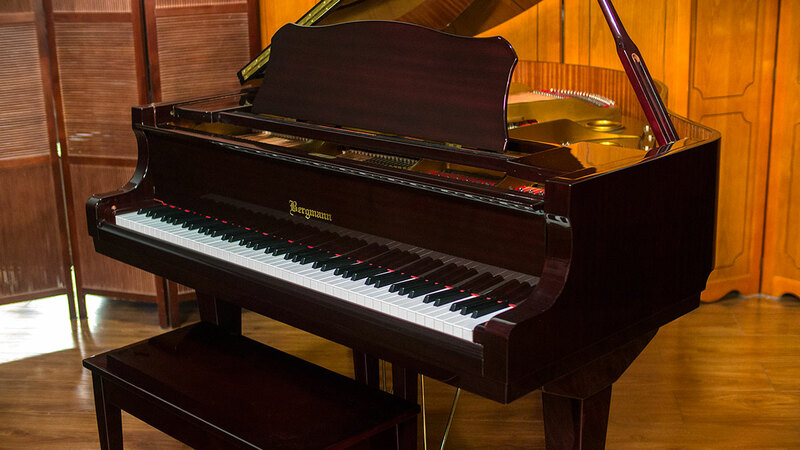 This piano has a PianoDisc system which can play for you with beautiful expression. 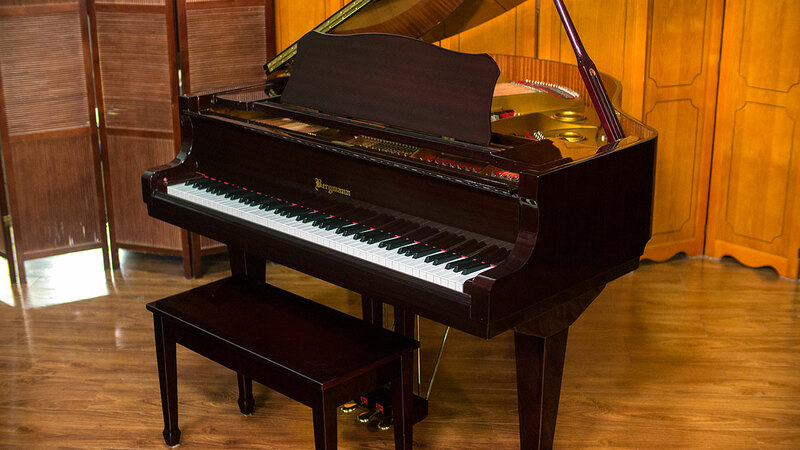 Or, you can play this fine baby grand yourself! 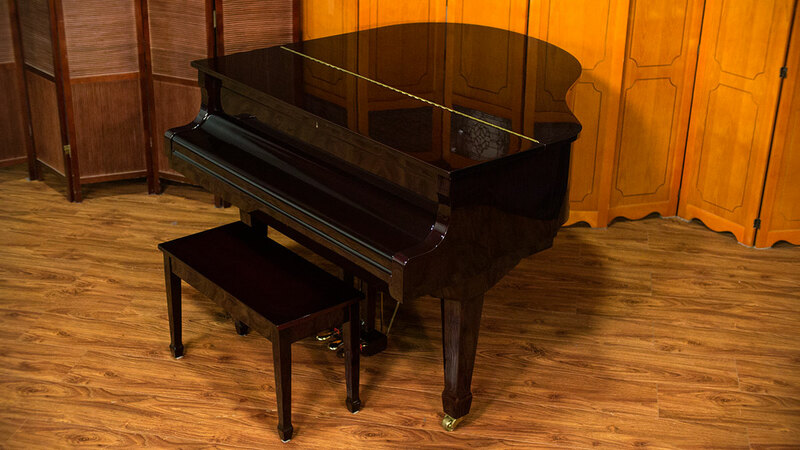 The piano is in excellent condition cosmetically and it plays like a dream! 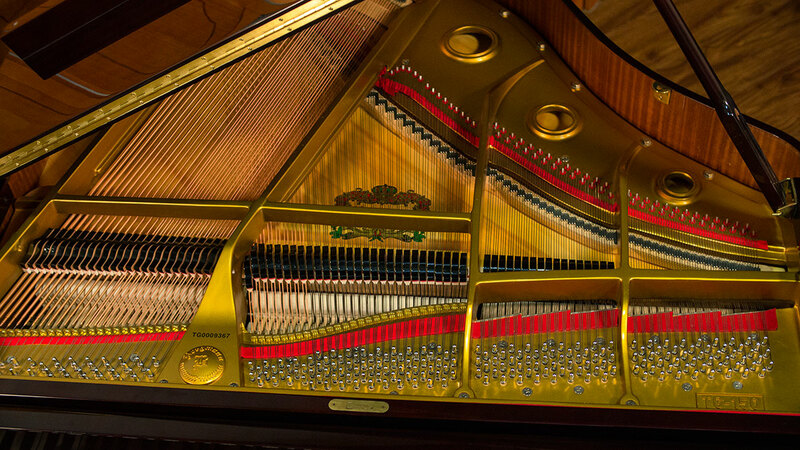 The player system has audio accompaniment. 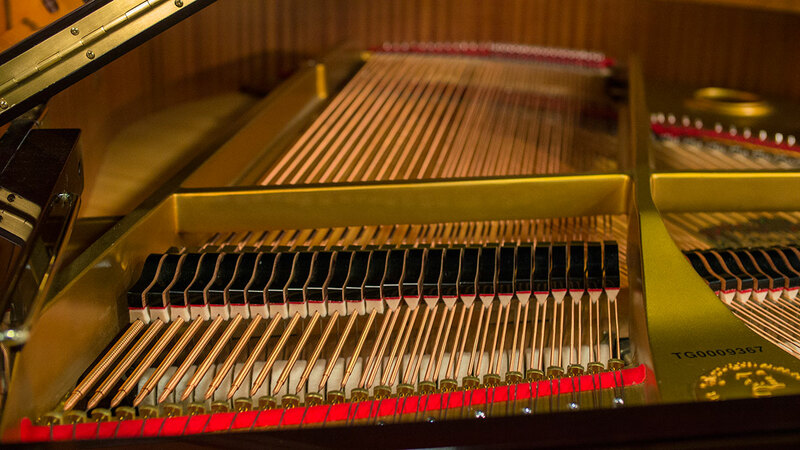 So, you are not restricted to solo piano music. 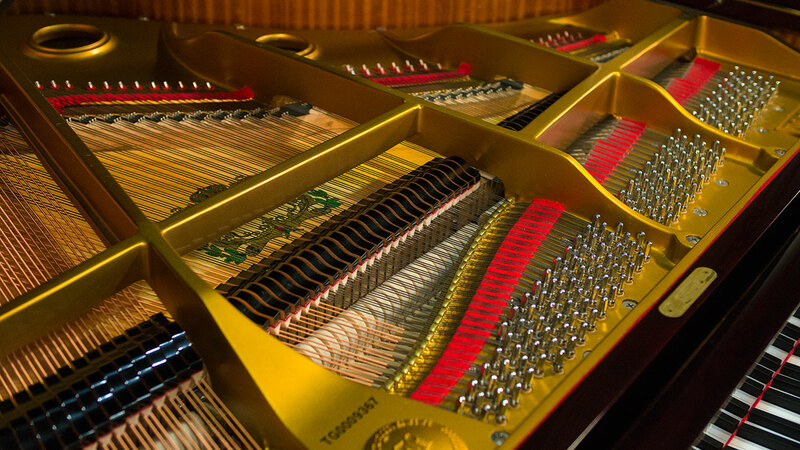 You can hear rich orchestrations of classical, jazz, musical theatre and many other styles. 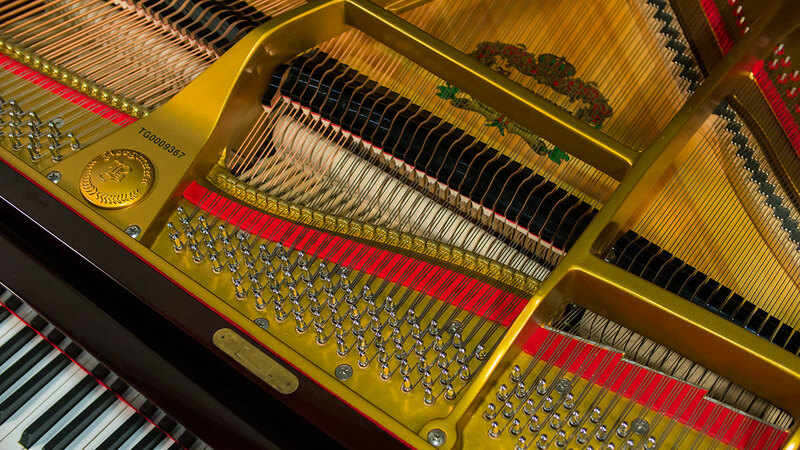 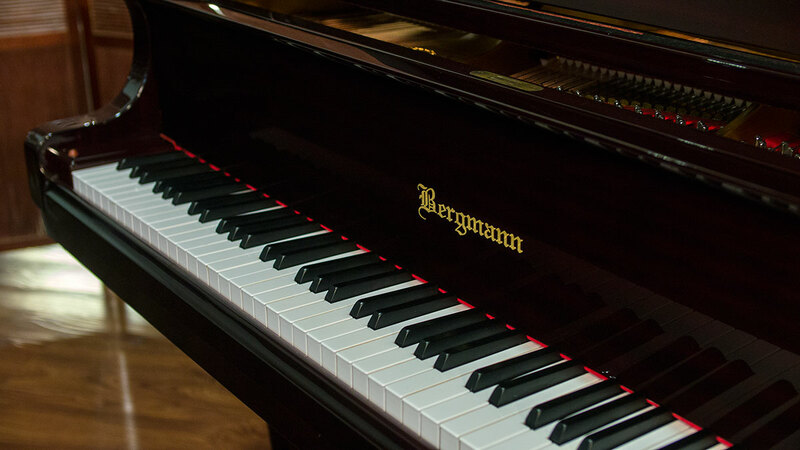 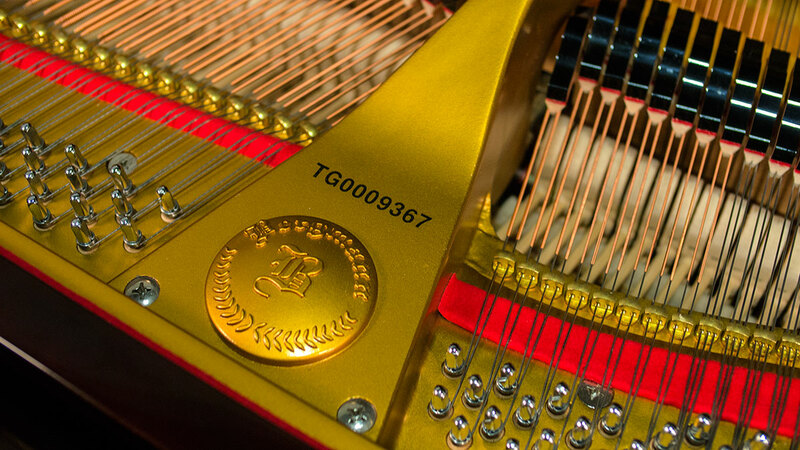 Bermann is produced by the Korean company Young Chang which has been building pianos since the 1950’s. 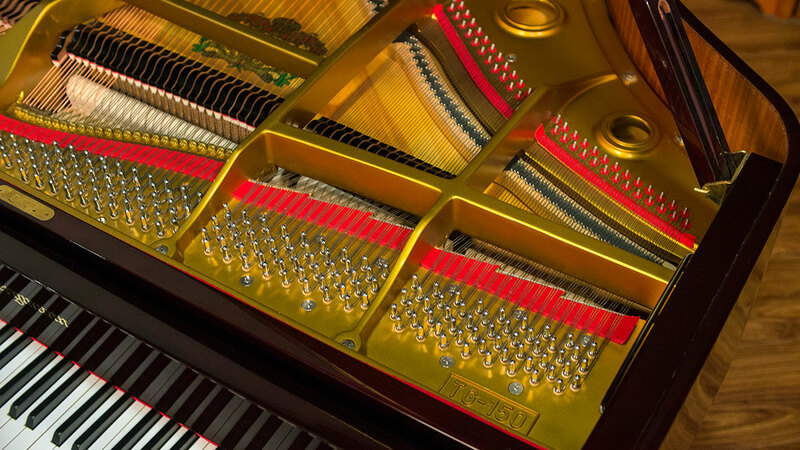 The action has no plastic parts like you find in many Asian production pianos. 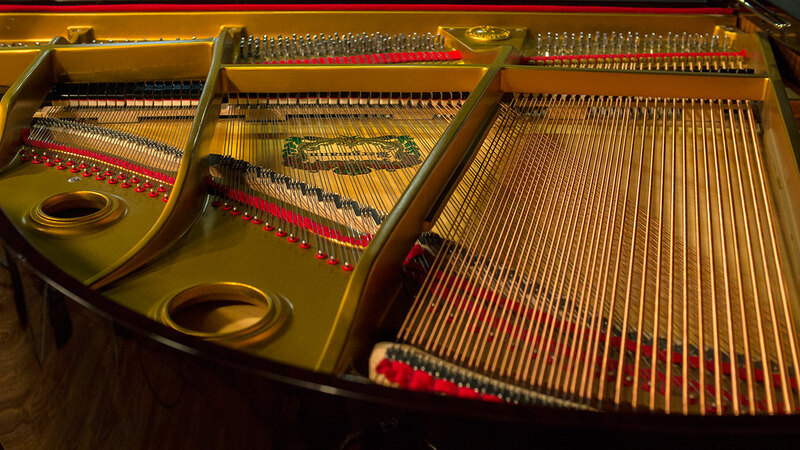 The piano has had little play. 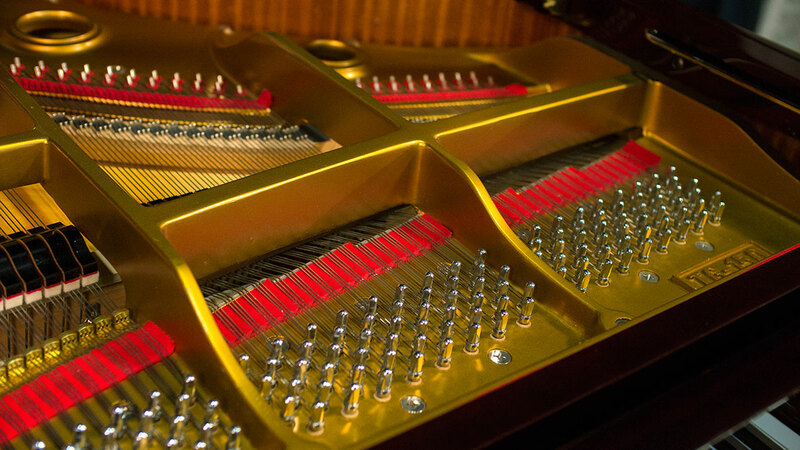 So, it should provide a high level playing experience for a very long time as long as it is well cared for. 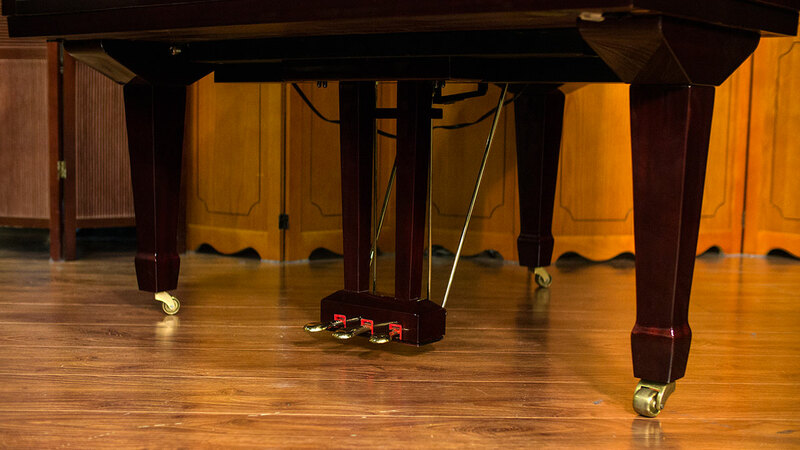 It comes with a remote control and a sample library of music to play.